Hay and Pitullo were members of a local society for prayer and conference. They were taken to Edinburgh and hanged at the Grassmarket on 11 July 1681. 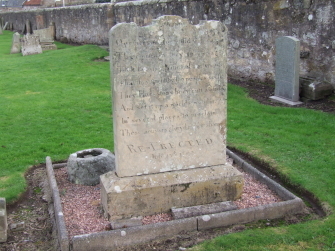 Their heads were severed from their bodies and sent to Cupar for display, where they were later buried with a hand of David Hackston of Rathillet, who had been hanged. He was executed in Edinburgh on 30 July 1680 and his hands cut from his body (because he held it up to swear his support for the Covenants). The headtsone is located on the south side of the old church tower in the old churchyard.